This material also called Devon reed or wheat reed or wheat straw is used for thatching roofs and for the majority of ridging work. Combed Wheat Reed is no longer a bye product of cereal production. 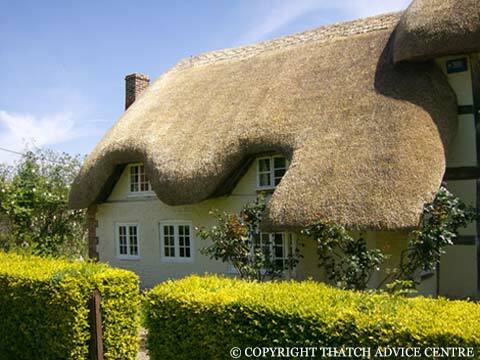 Nowadays cereal varieties are grown with short straw which would be hopeless for thatching roofs. Special varieties of wheat eg Maris Huntsman, Aquila are grown specifically for production into thatching straw. The bye product is not for cereal use but used for the next years seed to grow the thatching straw. 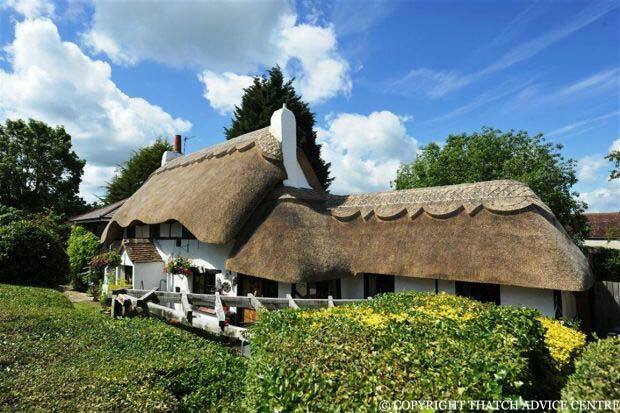 Rye, oat and wheat/barley hybrids can also be produced in the same way for thatching but are less usual and not generally considered to be as long lasting. Traditionally Combed Wheat Reed is a material produced by cutting wheat with a binder and tying into sheaves. The sheaves are then stooked in the field (putting sheaves into small pyramid stacks to dry) and then, in the old days, it was made into a rick which was a large stack which was thatched as a method of storage and to keeping the majority dry. The sheaves are then put through a threshing machine or drum to remove the grains at a later time after all the harvest was in. The Threshing machine had a Comber on the top which combed the straws and then it went into a trusser and was tied into bundles of Combed Wheat Reed. So the complete harvested straw with the grain is threshed and ‘combed’ to remove grain, leaves, weeds and short or broken straw producing ‘combed wheat reed’. This produced the material ready to be used for thatching. The majority of this process is the same as for Longstraw Production. Longstraw is cut, stooked and threshed but not combed but drawn see Longstraw page. Nowadays, the material is grown, still cut with a binder and produced traditionally in some places but also it may be header stripped (a more modern machine which removes the grain and leaves the straw still standing). It then can be cut when dry and bundled – ready for use and is a less labour intensive process. 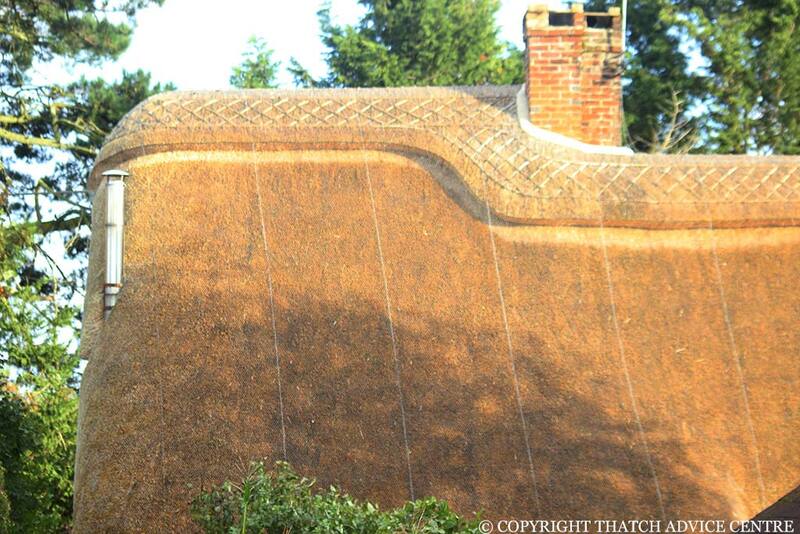 Thatching straw is now grown by a few specialists in the UK. 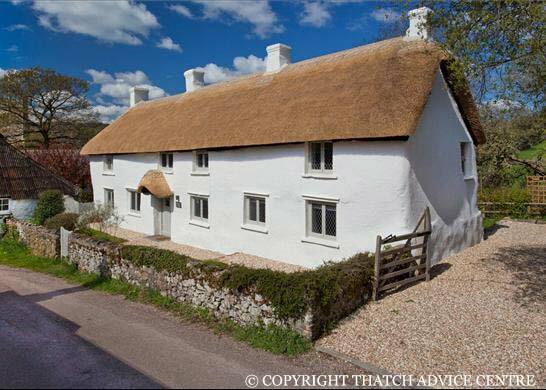 In addition, there are a few thatchers who grow their own straw. The traditional production uses old machines such as binders, threshing machines and combers. Many of these machines are over 70 years old. Here is a picture from one of our associates.